1st Street at Promenade was temporarily closed off Sunday afternoon due to a report of a suspicious device later determined not explosive. Photo by Stephanie Rivera. 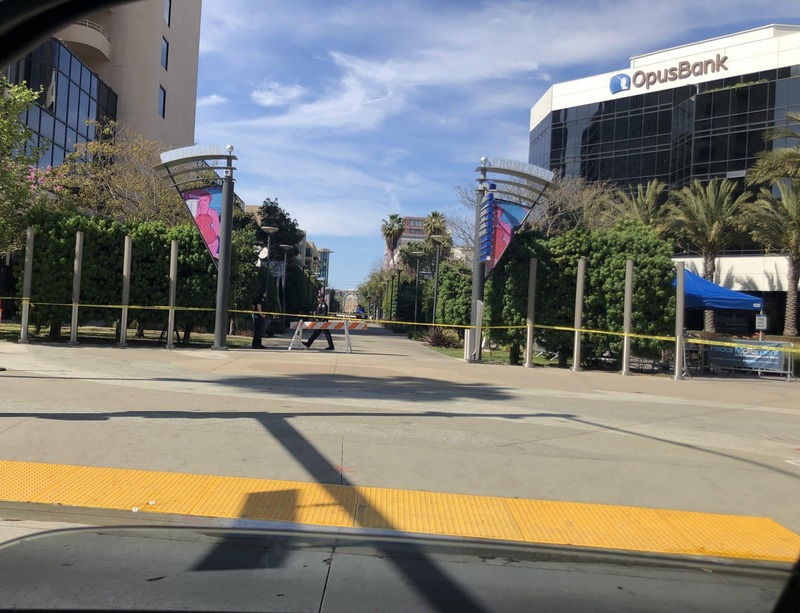 A suspicious device Downtown that authorities later determined was not explosive closed off roads to motorists and pedestrians alike just as the Grand Prix was coming to an end Sunday afternoon. Authorities said a call came in about a suspicious device at First Street and The Promenade at 2:55 p.m. Responding officers observed the device next to a vehicle at the location and subsequently called the Los Angeles Sheriff’s Department bomb squad, said Long Beach police Lt. James Richardson. The bomb squad determined the device was not explosive, he said. “A containment was set around the area to keep the public a safe distance away,” Richardson said. 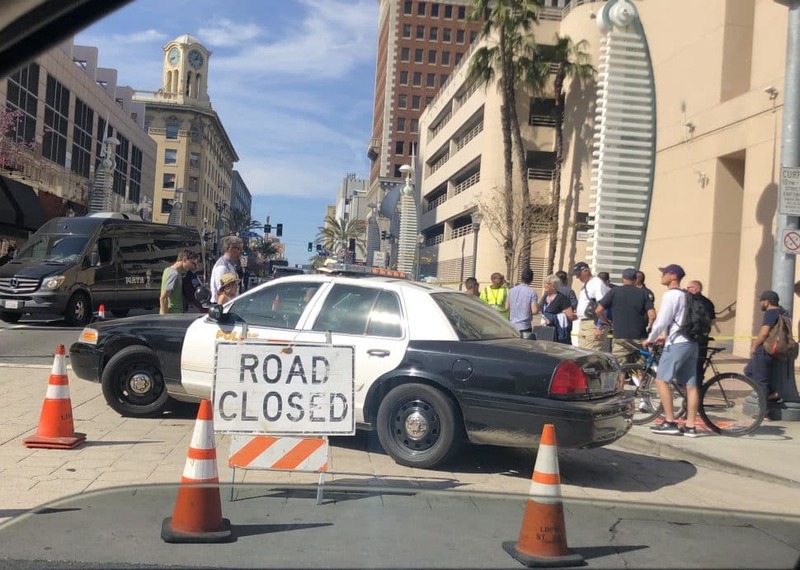 Pine Avenue was closed down from Ocean Boulevard to 1st Street Sunday afternoon after authorities located a suspicious device later determined not to be explosive. Photo by Stephanie Rivera. Pine Street was closed between First Street and Ocean Boulevard. The building that houses the Long Beach Post offices, which is adjacent to where the device was found, was also impacted. A parking attendant selling parking spaces was told by police to stop letting cars inside the building’s garage. Long Beach Transit’s Transit Gallery, also adjacent to the device’s location, was also closed.